Sun Valley is having a lodging sale. 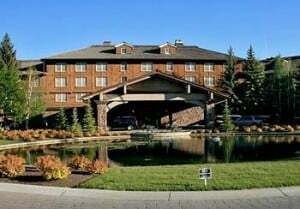 If you are on the fence whether to plan your Idaho vacation this sale might help. 50% off all rooms, suites, and cottage rates. More information below. If you take advantage of this great deal, don’t forget to come visit The River Company for some Sun Valley Rafting. For 72 hours only, May 15 through Sunday, May 17 receive 50% OFF all room, suite and cottage* rates at Sun Valley Resort in Sun Valley, Idaho. Valid for reservations beginning June 5th and ending October 13th, 2009. Offer not applicable to groups or packages and is subject to availability. Rates do not include tax. This entry was posted on Friday, May 15th, 2009 at 8:36 am	and is filed under Sun Valley Idaho Rafting, Sun Valley River Trips, The River Company. You can follow any responses to this entry through the RSS feed.